With Verizon’s huge investment in a widespread US 4G LTE network and AT&T playing catching up with its own LTE effort, the market for LTE handsets and tablets is increasing by leaps and bounds. In 2012 alone, LTE phone shipments will grow nearly 10 times on the year to 67 million units, according to the latest report by Strategy Analytics. To put the number in context, we should clarify that in 2011 the exact number of LTE smartphones shipped amounted to 6.8 million units. A big part of those phones were Verizon-bound devices. The biggest swing factor that will decide 4G LTE smartphone shipments and sales seems to be the next iPhone. Whether or not the new iPhone will include such connectivity could and would drastically change those estimates. Verizon already tipped that it’s only getting LTE smartphones this year, and this hints strongly at an upcoming LTE iPhone. While the US is currently leading the next-gen network push, other countries like South Korea and Japan aren’t too far behind. The growth in device shipments will come from there as well. 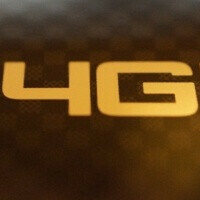 Europe on the other hand will take at least a couple of years until 4G LTE gets widespread. Along with LTE growing to become an impossible to ignore technology for carriers in 2012, users will face some difficulties with growing prices. These are the expected “growing pains” that Strategy Analytics director Tom Kang projects. With the advent of 28nm architectures this year, for the first time LTE phones are expected to gain reasonable battery life (that is, last the day). We’re still looking forward to the first LTE devices and their battery tests, though, so we’re not sure how big the battery efficiency gains will be. Well they should! Remember Verizon's first batch of LTE phones. Ugh. Awful. All buggy and outdated with the only good one (bionic) coming like 6 months late. If you actually take advantage of LTE, anybody with a data cap would hit their monthly cap in a few hours. I like tech, but have yet to see a need for 20+ Mbps on a phone. Its marketing hype for Verizon - and they haven't even implemented simultaneous voice and data over LTE. Besides the short battery life, killing your data cap, overheating issues, and problems (HTC Vigor) with handoff between 3G and 4G - what does LTE offer? "and they haven't even implemented simultaneous voice and data over LTE" -- Do you mean simultaneous Voice Over LTE and LTE data? True. But if you mean simultaneous Voice (CDMA) and Data (LTE), that is available on every one of Verizon's 4G LTE phones.